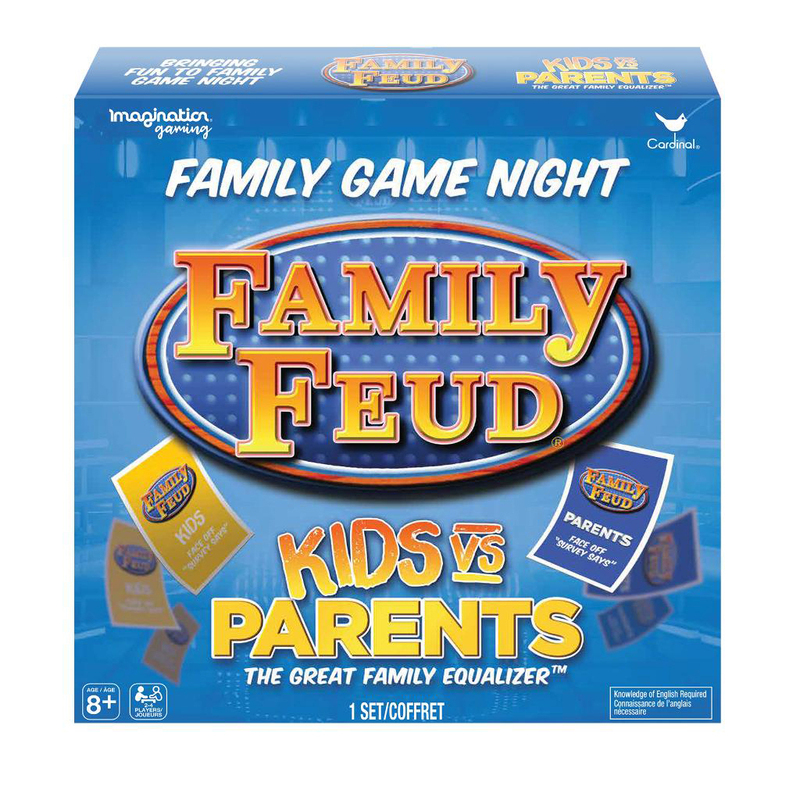 It's time to play Family Feud: Kids Vs. Parents—are you ready to take the challenge? Survey says ... the whole family is going to have a blast! One of America’s favorite game shows now has a generational twist with this soon-to-be classic board game. It's a battle of the ages, as kids and parents try to guess the most relevant and popular answers to a varying array of questions. 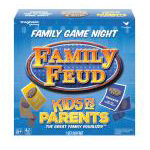 With traditional gameplay, Family Feud: Kids Vs. Parents is an easy-to-play, yet challenging game for the whole family. Figure out the most popular answers and rack up the points. Face off in three rounds then play the Fast Money Bonus Round—the team or player with the highest score wins. With survey questions like "Name something magicians escape from" and "Name something that gives you problems on a golf course"